A ‘live’ blog… later amended to correct font and add links. I’ve spent the last three days in Denver judging at the World Beer Cup – a competition held every other year and organised/run by the Brewers Association. It’s been mindblowing! And exciting, especially when you find yourself judging alongside the likes of Stone Brewmaster Mitch Steele and, between judging, running into Doug Odell of Odell Brewing who cheerfully says of course he remembers you from the time you interviewed him outside Camden Town Brewery in London. I won’t say much about the judging itself – other than how well organised it was – as the results aren’t announced until Friday. More in a later post. 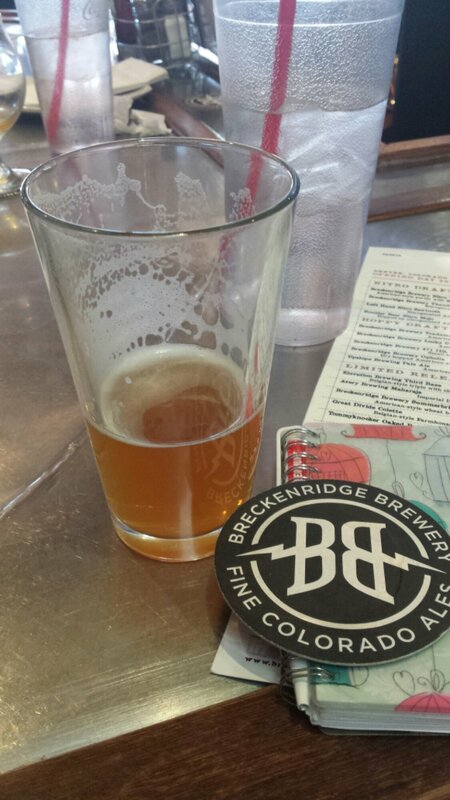 Instead let me just emphasise how BRILLIANT Colorado is for beer as I sit in the huge Breckenridge Brewery bar on Blake Street in Denver just across the road from Coors Field where the Rockies baseball team are based (sorry if the terminology is wrong – I’m not big on sports! ), quaffing a delicious pint of dry-hopped wheat beer called Ophelia. I did a bus tour around some Boulder breweries on Sunday that really wowed me and there’s a stack of breweries elsewhere in Colorado that I’m keen to visit but will probably have to wait till next time. Suffice to say…I’m enjoying Denver…enjoying Colorado … even though given the altitude it has literally left me somewhat breathless. Look out for more posts – and an item or two on my Beertalkers podcast – based around my trip in the near future. Cheers! *Raises glass of Breckenridge Nitro Vanilla Porter*. Mmmm.